← The ONLY thing that sets you apart from the rest………..
2014 Drive For Success Challenge! Procrastination is the line that divides the 4% from the 96% of the health care professionals that reach Economic Freedom by the age of 65. Economic Freedom is the day you have a safe and reliable portfolio that produces your desired standard of living for the rest of your life. This is the day you go to work because you want to, not because you have to. How many times have you heard someone say, “I’m going to get to that next week,” but next week comes and goes. The reality for many of us is that we are inclined to “put-off” those activities that we believe will require a lot of our energy, take a lot of our time or cost us money. Many times we will postpone an activity because we imagine it might be uncomfortable. What I have discovered is that we avoid moving forward in many cases due to fear. Fear and misperception is an anchor to success. Even when we know the consequences of avoiding this behavior may not be in our best interest, many of us still hesitate. So here is a request: take a quick 5 minutes for a challenge on achieving your 2014 goals. Push yourself and your team by taking the following assessment to see what areas you can really charge for the rest of the year! 2) How many dollars of undone production are sitting in your unscheduled treatment plans instead of your production column? And how old are the recommended treatment cases? What systems do you have in place to consistently work these lists and present them to patients? (are you preparing for opportunity walking in your door today?) Follow the 2-2-2 system – Follow up in 2 days if the patient leaves the office without scheduling, 2 weeks if no scheduling again then 2 months. 3) Have you sent out your “Use it or Lose it” remaining benefits communications? (Of course followed up with a phone call!) Get these ready NOW to be sent out the first few weeks of September. (feel free to direct message me for a complimentary copy of what we use!) Make it enticing for patients to get in before year end – throw in a contest to win a FREE i-pad, dinner certificates or something else that your patients would LOVE! Past Due Recare – Lets get these patients in before year-end! Schedule a calling blitz! This will also help prepare for January when we do chart auditing! Undone Treatment – How old are your treatment plans? Do they need rejected? Bring all current! Use this list daily with a goal # of contacts per day! Insurance Aging – How much money of yours is sitting in insurance claims and on a report instead of in your pocket? This report should be worked consistently to keep it clean and the money where it belongs! Account Aging – How much money is sitting in 30+, 60+ and 90+ buckets? New Patient #’s – How many, where did they come from, did they proceed with recommended treatment? 5) Book review – Does your office do this? Review of every single appointment on your schedule to locate opportunities BEFORE the patient sits in your chair. 6) Does your team execute the perfect hand-off? (see our Creating the Perfect Hand-off blog for this!) Hand-off’s can make or break treatment case acceptance. 7) Does every patient leave your office with their next appointment scheduled and with a referral request in hand? The Fortune is in the Follow-up my friends!! 8) Social Media – Does your practice have a website, Facebook page, twitter account and linked in profile? How does your office gather email addresses, social media information and cell phone numbers for patients? Do you ask for the patient’s preferred method of communication? Where is this information noted? In this day of automated reminders and the capability of reaching out and touching your patients whenever you want with Facebook communications, tweets, emails blasts, and newsletters you’re missing out on many opportunities to keep your name out there if you aren’t connecting on these levels! Here’s a tip – If you have a non-productive, non-proactive “answering service” handling your calls please be sure you call your own office on their watch – You might be (unpleasantly) surprised at what your patients are hearing! We are here to tell you from experience that even though you may think your patients “know” you aren’t in on Fridays, they are still calling – along with new patients!! 10) Do you have a strategic confirmation system in place? Electronic reminders, texts and personal phone calls. Strive for 100% confirmations! You CAN control your schedule!! While you’ll never completely eliminate no-shows and cancellations, if you have solid systems in place you most certainly can control them! Check out our systematic approach for confirmations in our most read blog When Donkeys Fly! When we begin to manage our procrastination is when we become free to make choices. 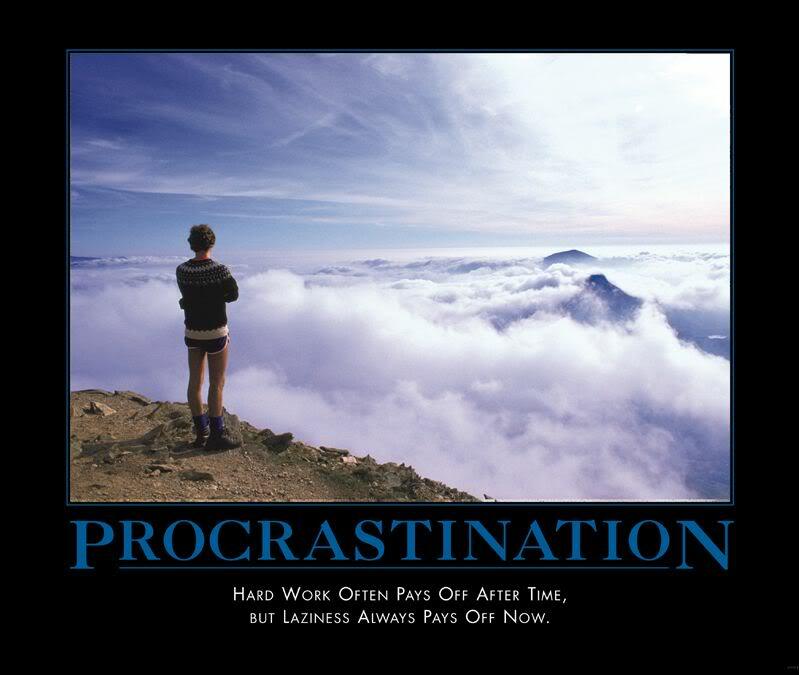 Procrastination is not a harbor of comfort, it’s our nemesis. When we elevate economic and practice success to a must priority, it comes with no conditions. The results are predictable. Positive outcomes. Peace of mind to live our lives and operate our practices exactly the way we want them, free of the constraints of money. We can procrastinate or we can plan. We can “get to it someday” or we can begin today. It’s your call. Plan your plan. 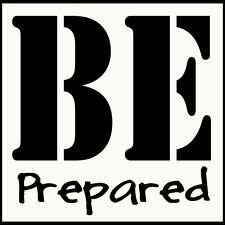 The Perpetual State of Preparedness. It’s a great place to be. If you need assistance running those reports/monitors we’ll jump in and support you – Our Periodic Practice Exam program may but just right for you. Feel free to contact us anytime! Here’s to CRUSHING your 2014 goal! Opportunity Doesn’t Quit Calling When You’re out of the Practice…Let it call US!! It’s time to replace that boring, unproductive answering service with a result producing, appointment scheduling AWESOME service!